Each website has the option to include a formatted blog page. While editing the blog page is very similar to editing any other page on the site, there are a few differences. • Comments- Manage Comments others have left on your blog post. • Blog Settings- From the blog settings you can configure how many posts appear in the list of posts before adding another page, toggle on and off Twitter and Facebook buttons, toggle whether the page for Author, Categories, and Archive shows or not, add code for third-party analytics or SEO services, and manage comment configuration. 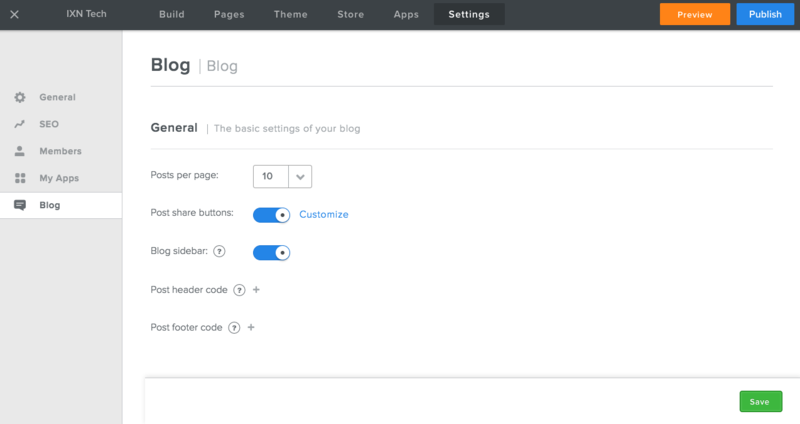 • New Post- This is where you enter the Blog Editor to compose a new article. 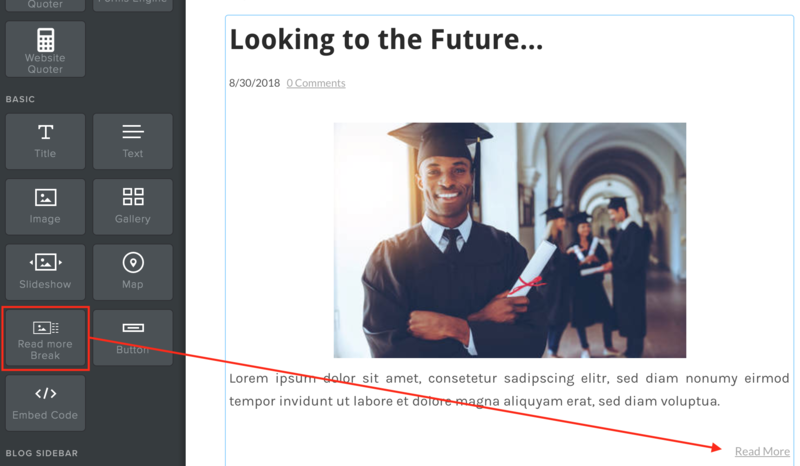 From there you can drag and drop website elements into the article space, save a post as a draft, discard a draft, or publish the current post. You also have access to the Post Options from this screen. • Post Options- Post options apply to the article you are currently editing. You can schedule when an article should appear on the site, allow or disallow comments for that article, or assign category tags to the article. Category tags appear in the right-hand column of the blog page. When clicked the tag will filter blog posts that to all posts that share the tag. Once additional editor feature only available on the blog page is the "Read More Break" element. To use this, click and drag the element into the article. All content above the Read More Break will show on the main blog page. All content below the break will be hidden with a "Read More" button. Clicking the article will take the viewer to the page with the full article. That's the basics of the Blog page! 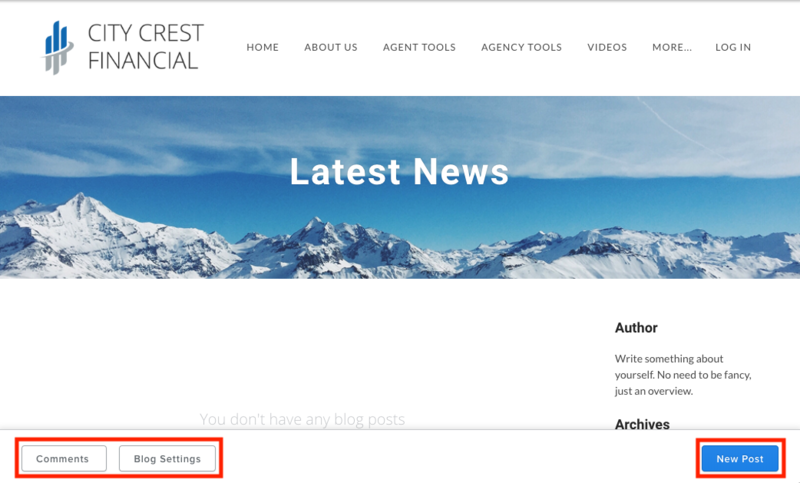 Utilize this feature to increase engagement with your site through blog posts.